By buying this product you can collect up to 365 Yachtaid Points. Your cart will total 365 points that will be converted into a voucher towards your next purchase! Must be logged in to collect points. Compact EBE split evaporators are draw-through, ductable cooling units with reverse-cycle heating. 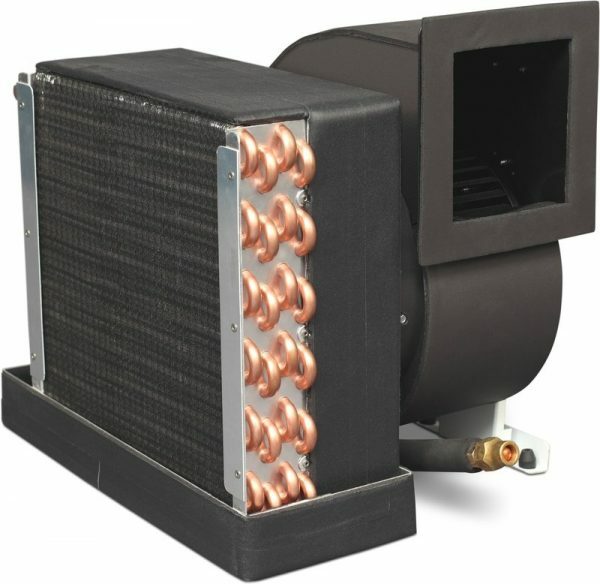 Featuring a rotatable, high-efficiency permanent split capacitor (PSC) blower in which the motor is concealed, EBE series evaporators are available in capacities from 18K to 36K BTU/hr. The EBE Series was designed for installation low in a closet, cabinet, or other enclosed space, with discharge air ducted to one or more grilles high in the cabin.